For a drama that looks at the aftermath of societal collapse, we examine 2016’s Into the Forest. In the not-too-distant future, a calamitous power outage occurs that persists indefinitely. As expected, this leads to the radical decline of social conventions. 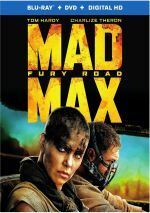 In the midst of this, sisters Nell (Ellen Page) and Eva (Evan Rachel Wood) live with their father Robert (Callum Keith Rennie) at a remote location in the woods. They face the challenges of this new world, with an emphasis on the ways Nell and Eva deal with matters. That focus on how two young women – presumably supposed to be late teenagers – deal with the crisis gives Forest its best twist. This choice brings a more introspective feel to the project and keeps it from the kind of blustery, macho orientation we usually find in tales of this sort. Other that that, though, I can’t find a lot to make Forest memorable. While it provides a good framework for a movie, the results seem less than stimulating much of the time. I do like the insulated emphasis, but this doesn’t lead toward an especially interesting narrative. Although we get a few predictable “visitors” and the jolts/disruptions they provide, the focus remains heavily on the women, and their personal journey just doesn’t offer much that seems particularly stimulating. A character piece, Forest suffers because it gives us lead roles without a lot of definition. We get nuggets about the sisters, their pasts and their lives, but not much more than basics, and these elements fail to develop. Instead, we’re stuck with a fair amount of basic melodrama. We follow Nell and Eva through their isolated ups and downs without much investment in what happens to them. Live, die, or whatever, the viewer seems unlikely to care, as the movie rarely provides enough substance to pique our interest. Wood and Page do fine in their roles, though I can’t say either adds much to the proceedings. Both also seem too old for the parts, especially Page. The movie leaves Eva’s age unspecified, though it implies she and Nell are close in years. However, because we see Nell study for the SAT, we know she must be 16 or 17 – an awful lot younger than the 29-year-old Page. Maybe this age differential wouldn’t stand out so much if she’d not made her name as a high schooler in 2007’s Juno. When someone tries to play a 17-year-old almost a decade after she played a 17-year-old, disbelief becomes more difficult. Ultimately, I can’t call Forest a bad movie, but it just isn’t one that manages to elevate its subject matter. It provides the rudiments of a survival drama without enough substance to go anywhere compelling. Into the Forest appears in an aspect ratio of approximately 1.85:1 on this Blu-ray Disc. This was a largely appealing presentation. Though not razor-sharp, the image reflected positive delineation. Only minor instances of softness occurred, so we got a largely accurate presentation. I saw no jaggies or shimmering, and both edge haloes and print flaws remained absent. The movie’s palette opted for a moderately green orientation much of the time, though it added some orange as well. These stylistic choices limited the film's range but the hues seemed well-reproduced. Blacks were fairly dark, and shadows showed reasonable range, though some low-light shots could be a bit murky. Given the movie’s visual preferences, the Blu-ray replicated it pretty well. As for the film’s DTS-HD MA 5.1, it tended to be low-key. The soundscape concentrated mainly on music, which spread across the channels well. Effects tended toward general ambience, as the movie lacked showy sequences. The various elements added a little involvement to matters but left things fairly subdued. A thunderstorm and some nature shots gave the track its most involving moments. Audio quality worked fine. Music was full and clear, while the effects showed good accuracy and clarity. Speech also seemed natural and concise. Nothing here impressed, but the mix fit the material. A few extras appear, and we locate an audio commentary from writer/director Patricia Rozema. She offers a running, screen-specific look at the source novel and its adaptation, story/character domains, cast and performances, sets and locations, music, editing and related topics. Overall, Rozema provides a generally good commentary. She tends to narrate the movie a little much, but she gives us a reasonable number of insights. That leads to a mostly informative discussion. 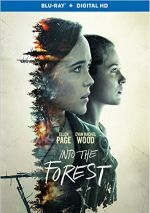 The Making of Into the Forest runs 16 minutes and includes notes from Rozema, actor/producer Ellen Page, producers Niv Fichman and Aaron A. Gilbert, and actors Evan Rachel Wood, Callum Keith Rennie and Max Minghella. We learn of the film’s roots and development, story/characters, cast and performances, and general production areas. This becomes a general featurette that touches on basics without much depth, so don’t expect a lot from it. The disc opens with ads for Equals, The Witch, The Adderall Diaries, Swiss Army Man and The Blackcoat’s Daughter. No trailer for Forest appears here.